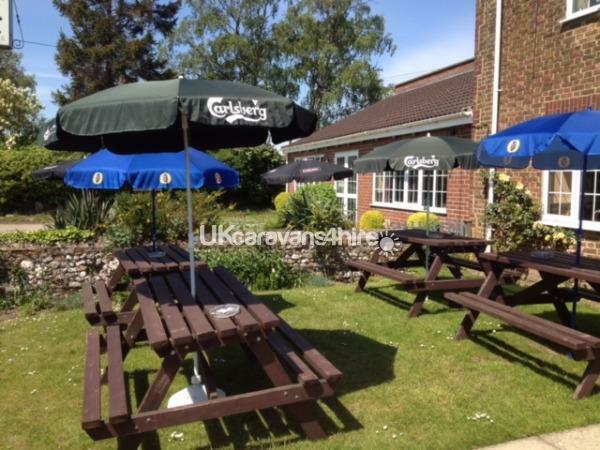 Additional Info: Situated on a touring caravan CL site, next to a traditional English pub/restaurant serving homemade food and real ales 7 days a week during the summer months. The Site is open 12 months of the year. Please note the pub is closed on Mondays during the winter months (but the site is open). All towels and bed linen is provided as part of your rental fee. Booking in advance with full payment in advance. Guests are asked to vacate the caravan by 11am on the day of departure. Booking in from 1pm onwards. Please note the pub is closed between 3pm and 6pm weekdays. 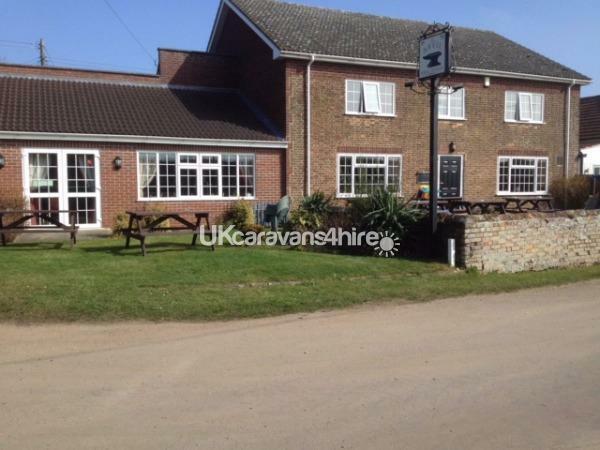 The Anvil Inn is a pub in the heart of the Norfolk countryside. 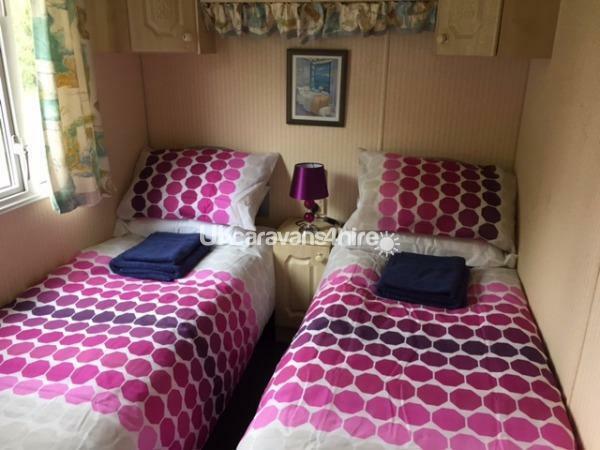 We have a small caravan site next to our pub for touring caravans and a single static that we rent out to visitors to the area. We serve great food at very reasonable prices, and offer a great selection of real ales, wines and drinks. A quiet and secluded location close to Sandringham, Kings Lynn, Norwich, Wisbech, Peterborough and Cambridge, as well as being accessible to the Norfolk Broads and the North Norfolk Coast, famed for its fresh seafood and visits to see the seals. Karl and Kath have been at The Anvil for 6 years and have developed the pub, homemade food offer and selection of real ales as well as adding the caravan site. This is a beautiful, quiet area of Norfolk with local characters, as well as visitors to the area. Everyone at The Anvil is friendly and we have a considerable number of regular returning customers. 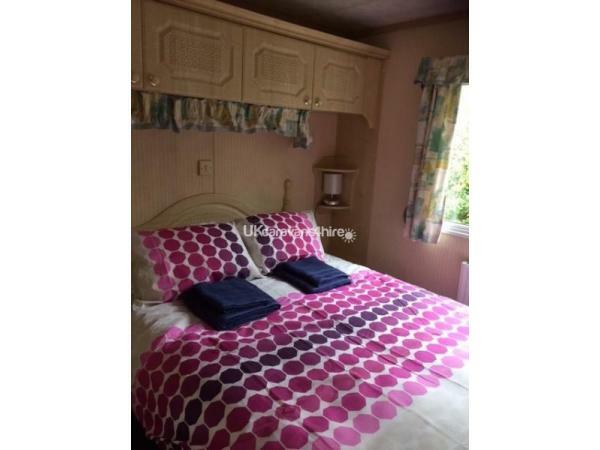 If you would like to stay in an idyllic spot in a cosy and comfortable home from home, then why not book our static caravan? Prices start from just £295 per week. We also do a nightly rate starting at £60.00 for night.